Finally... after checking almost on a daily basis including last night, the Hairy Fairy has had the pleasure in informing me that The Simpsons minifigs have finally arrived tonight in my local WHSmiths store. Just like The LEGO Movie ones, I am offering these at £40 plus postage, your choice of First Class Signed For at £4.10 or Second Class Signed For at £3.70. I currently have a reusable £5 off £15 spend voucher which would again allow a £13.28 per full set donation to Fairy Bricks, drop me a PM if you were interested in a buying a full set. 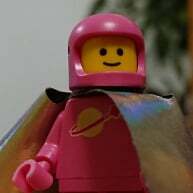 There were some pre-order requests previously mentioned on The LEGO Movie thread so @cheshirecat‌, @Jabba_the_Taff‌, @TheOneVeyronian‌, @msanders‌, @minifigman11‌, @Ariela‌ and @J4ch1n6868, drop me a PM if you were still wanting a full set. Another donation from @TheOneVeyronian‌ :) Fairy Bricks total up to £26.56 now thanks to you! Do you have vouchers going in to may? ^ only daft £5 off £20 spend ones running from 5 to 11 May being given out this week but I'll pop into store again next week to see if they have any different ones. Bring back the good old £5 off £12 spend pretty polly please! A full set sold onto a non Bricksetter this weekend. Thanks to @hantot‌, another set just packaged up and ready for posting on Tuesday taking the donations up to £79.68! Tenth set bought by @kekeke‌ today...thank you :) Donation total is now £118.72. I must be blind, as I'm just seeing this thread. Very VERY well done, @StormKitty‌!! And you and your time, @StormKitty. So thank you! I opened all the figures yesterday, and was amazed how @StormKitty‌ managed to work out individual figure without opening the bag... I was also worried to have duplicate figures from the Simpsons house, but they are all a bit different. Love this set, thanks KT! @StormKitty £5 off a £15 spend being given out today! @stormkitty I've got a few lego vouchers and till vouchers that I won't need having bought the daily mail and got the poly. Hopefully I will get some more this week with the newspaper-poly deal. Would you like me to send these to you at the end of the week once I've got most of them? The till voucher ends Sunday 18th and the lego Voucher ends 25th so as long as their with you by Saturday this shod be fine? Just PM me the address you want them sent to sometime this week. @Stormkitty If you PM me too with your address I can send you two more £5 off £20 vouchers that are valid until Sunday 18th. The WHSmiths I've visited in the past two days hasn't been handing out Lego vouchers, just graze ones so I'll be sure to ask tomorrow. I'm sure they'll give me a few if they have them and I can pop them in the envelope to you too. @stormkitty I have just got my Daily Mail poly and have been given a £5 off a £20 spend till voucher plus a £5 off a £15 spend on toys printed voucher. Would you like me to send them to you at the end of the week when the promotion is over along with any others I might pick up? I have kept sales within the UK but @jadestaples‌ earlier today was kind enough to purchase both a Simpsons set along with a LEGO Movie set, both were posted out to Australia. I am now using the LEGO £5 off £15 vouchers which they started giving out last Saturday. The small print states that ALL £15 spend must be on Kids' books, toys, games or art, so Fairy Bricks donations using these new vouchers work out to be £11.36 per set (by splitting it into separate transactions of 7 minifigs). Previously with the till spit £5 off £15 spend vouchers, I could 'top up' to achieve a £15 spend by buying a 8p carrier bag as suggested by @LostInTranslation‌ :) Challenge to Bricksetters out there, can anyone find something small that I can purchase that meets this 'LEGO promo' voucher criteria? If so, it could mean a slightly bigger donation per set sold for Fairy Bricks. So based on the set purchased by @jadestaples‌ today and a set brought by a non Bricksetter at the weekend, a further £22.72 has been donated to Fairy Bricks, so grand total so far is £160.96. Panini stickers are 50p and I'll buy them off you if that helps. @stormkitty, are you still taking orders for the Simpsons figure sets? ^ yes I am, I'll drop you a PM. ^ thanks @pantboy‌, I think I have got a fair few now to keep us going until 25 May. Am back at my local store later tonight to pick up some polybags for Fairy Bricks so will grab a few more again, they still had a huge pile left last night. Ok, I will hang onto them so if you are running short in the next week or so send me a message and i'll get them in the post. So huge thanks to @purple_haze‌ and @prlee‌ for pushing the grand total up to £187.52 today. My local store were down to their last half box tonight (my Fairy Bricks doing I think) but fear not, they assure me that they should be getting a delivery tomorrow. I just received my full set of Simpsons minifigs from @StormKitty‌. I already had 4 and with her tips, I was able to correctly identify all the minifigs and leave the swaps sealed in their bags. The WHSmiths stores round my way had stopped selling The LEGO Movie minifigs a few weeks back but I had a spare set in my KT stockpile. A very kind and generous @morezone‌ has just bought a set along with a set of the Simpsons minifigs as well pushing The LEGO Movie donation total up to £256.68 and the Simpsons donation total to a £253.92. Thank you kind sir! Not the best reduction I know but John Lewis are selling the movie minifigs for £2.11 each. It's online too so they are probably price matching someone. I checked the price in Boots yesterday but back to £2.50 not the great £1.50 they were previously. I'll keep looking. Two full sets of Simpsons minifigs were requested over the weekend. With WHSmiths having not issued out any money off vouchers in the past two weeks I had to try Argos last night. Thanks to @Venunder's recent tip offs over on the Argos Deals thread, I managed to get two full sets but that wasn't without odd stares and questions from both store staff and random customers. I did manage to find a Bart Simpson for a couple's little boy so seeing the huge smile on his face was lovely. Hopefully WHSmith will get the vouchers back in action again soon. Especially with the new collectible minifigure Series being announced. I'll definitely want the entire collection.